Few days ago I was invited to deliver a lecture by the French department of the Madras University, the topic was “Paris Musings”. Educational institutions give me the jitters since I’m a college dropout. So I addressed the group with whatever came to my mind instead of what I had written down — I never did once glance at my notes though I had taken them along. The following points are the ones I missed and would like to share them with you. The function commenced with the “Tamil Anthem” as it always does in all state government institutions. I doubt if people of other countries offer prayers to their mother tongue like they do here. The irony is that today’s ultra-modern youth can’t read or write Tamil because wherever you turn there are “Oxford” schools, which resemble cattle sheds. It’s a quirk of fate that a student can finish his schooling and college not knowing Tamil, his/her mother tongue. In fact, it’s à la mode to say that one doesn’t know Tamil. Tamils — no, Indians — have a flair for deifying everything. They erect statues, garland them and then conveniently forget what the fuss was all about. Exasperated by this attitude, Periyar E.V. Ramasamy bulldozed many statues. However, the Dravidian parties, which adore him, have erected his statues, and routinely garland and worship them — voila! A post-modern irony. I recall structuralists like Roland Barthes and Michel Foucault. Imagine a triangle — a beginning, climax and the sudden end, which is essentially male sexuality. The top of the triangle is god, father, author, authority, etc. There is no adventure in this triangle; somebody gives from the top and you consume it. You are not participating in it. You remain just a consumer. Now think of a spiral — it symbolises female sexuality. Female body does not have a centre like the male body. From head to toe, the female body is like a spiral filled with pleasures. It is endless and multi-orgasmic. Thus, women are more powerful than men — a conclusion which men do not kindly take to. A post-modern text can be compared to this spiral, similar to what Roland Barthes affirmed — “The author is dead”, which means the text is open-ended; it’s a maze. The reader enters the text through his creativity and creates another text. So, post-modernism is against absolutism. It’s democratic. Half of the population of Paris breathes under the ground level (in five-storeyed metros), which was constructed in 1900. Delhi got its Metro in 2002 and Chennai awaits its turn. One thing that attracted me the most in Paris is the “melody of kiss”. Parisians hug and kiss each other in public, making one wonder whether they are living beings or statues. Not only the young, all age groups kiss and hug. I could hear the “melody of kiss” even during peak hours on the Metro. “But the population seems to be rally less when compared to these kisses”, I told my friend. He’s a Sri Lankan refugee who lives in France. “Nobody can beat us in that matter,” he taunted. Like Tamil comedian Vivek says, “They kiss in public but we piss in public.” How true! L’Etoile is a place in Paris which looks like a star if seen from an eagle’s eye. L’Etoile is French for star. L’Arc de Triomphe, which is located in its centre, is surrounded by 12 roads. The amazing thing is that the place where 12 roads meet has no indication — no traffic lights, no police, and yet there are no mishaps. I adore many French writers, especially Marquis de Sade, George Bataille and George Perec. Marquis de Sade endured 32 years of imprisonment and a long stay in a mental asylum. (Nelson Mandela was in prison for 27 years.) Napolean ordered not to supply pen or paper to Sade. So Sade wrote on tissue paper and published his writings in foreign countries. He wrote a lot and many of his works were burnt. In 1810, at 70, Sade was admitted to the Charenton mental hospital where he had sexual relationship with 13-year-old Madeleine Leclerc, daughter of an employee at Charenton. This relationship continued till his death, at the age of 74. Whenever I read Sade, a question arises in my mind. If he had stopped writing, he could have lived a royal life (true to his name Marquis), but he ignored that option and chose to breathe his last in the asylum. Now the question is: Was Sade a sadist or a masochist? Even though the Austrian Masoch was born only after Sade died, in my opinion Sade is a masochist. Isn’t that an oxymoron? I’m not sure whether I can talk about George Bataille in the Indian milieu. One of Bataille’s novels, My Mother, tells the story of an incestuous relationship between a 17-year-old son and his mother. It was made into a movie starring Isabelle Hupert. I have translated the book into Tamil but haven’t yet given it to the publisher, fearing for my life. Till now very few lipogrammatic novels have been published. Walter Abish’s Alphabetical Africa is an interesting one which has words only starting with the letter A in the first chapter and A and B in the second and so it goes on till Z. The story doesn’t end here. He again starts in descending order, from Z. Another writer who has done a stupendous job is French novelist George Perec. He has written a 311-page novel, La Disparition, sans the vowel E which is a gargantuan task in French. And this is not just a gimmick. Disparition means disappearance. Perec’s parents were Jews — he was four when his father died in the Second World War and seven when his mother died in a Nazi concentration camp. Lipogrammatic style was used in his English and Spanish translations, too. 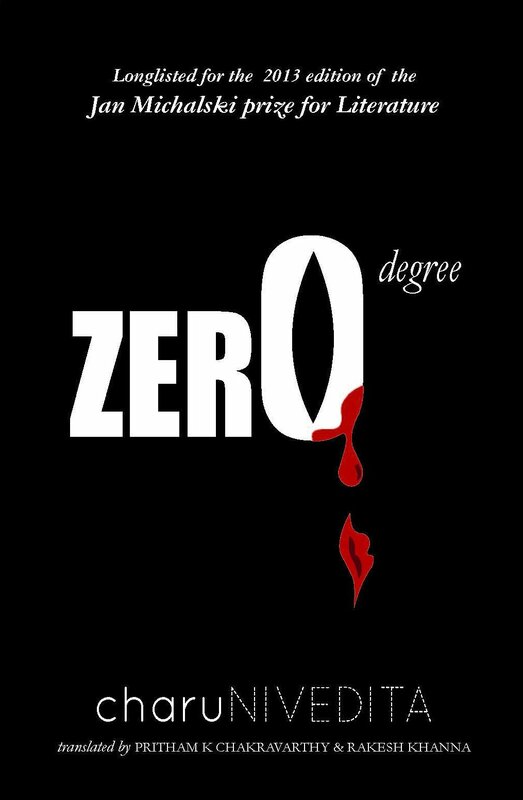 But, unfortunately, my Tamil lipogrammatic novel, Zero Degree, without A and one, was not translated into English lipogrammatically. P.S. All my visits to France have been in winter, so I could only see the beauties of Paris draped in woollen clothes. Next time, planning to see them in summer.